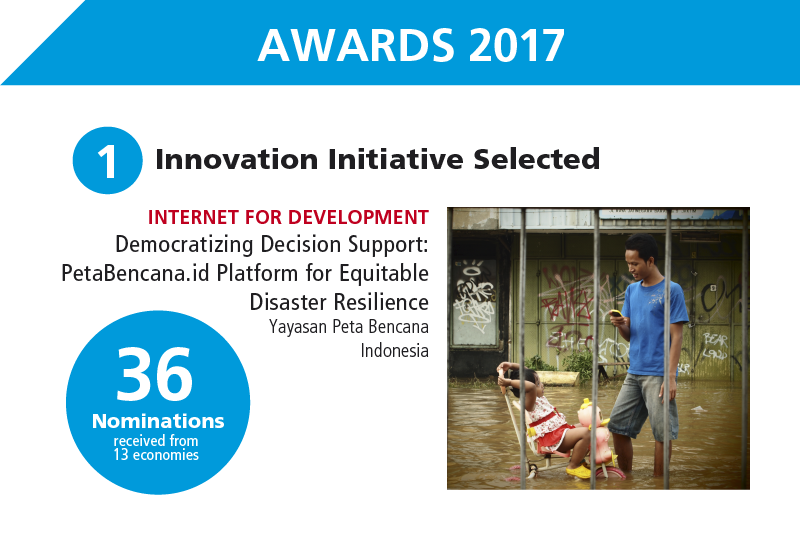 PetaBencana.ID will join the awards ceremony that will take place at the 12th Internet Governance Forum, as part of the Seed Alliance activities. The ceremony is scheduled for Monday, 18 December 2017 from 13:30 to 15: 00 (UTC +1), Room XXVI - E United Nations Office at Geneva (UNOG). Those following the IGF can include the event on their IGF calendar at http://sched.co/CSD9.